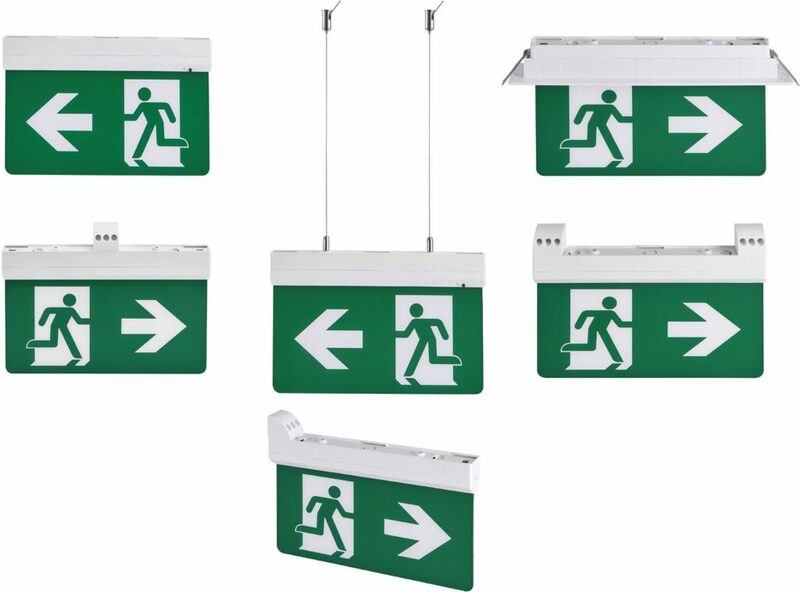 This LED Emergency Exit Sign has a modern design and is versatile due to the multiple installation options. 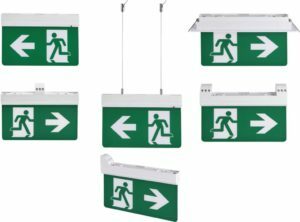 The Exit Sign is suitable for internal applications in offices, education providers and retail spaces. The fitting uses 2W when maintained and 1W when in non-maintained operation mode. It has a 5500K – 6500K Colour temperature, is IP20 rated and includes a two year guarantee. A range of legend options are available to purchase separately. Following the launch of this product Roland Bricknell, Group Commercial Product Manager commented: “This Exit Sign is an important addition to our Emergency Lighting category as it provides a solution that is suitable to be installed in such a wide range of indoor spaces. As well as its installation benefits this product also has great modern aesthetics”.